In its second and final open call for application experiments, DIATOMIC is offering a total of €1.610.000 equity-free funding plus acceleration services to the best startups/ SMEs and Competence Centers across the European microelectronics industry. DIATOMIC, an exclusive network of Digital Innovation Hubs – set under the EC’s Smart Anything Everywhere Initiative, aims to accelerate solutions that apply electronic components, sensors, smart objects and systems across health, agrifood and manufacturing sectors. With this in mind, DIATOMIC offers a 9 – 15 months acceleration programme, and will distribute up to €1.610.000 equity-free funding, with selected consortia receiving up to €200,000 per application experiment. Your solution needs to demonstrate clear value to the European economy and society. The minimum TRL required at time of proposal submission should be at the level 3, aiming towards the digitization of products/processes. Top consortia selected after the closing date on 31st January, 2019, will take part in an intensive, milestone-driven acceleration programme, designed around 3-stages, each of which is a step closer to market entry: ’Design’, ’Develop’, ’Market’. The deadline for applications – to be submitted at f6s.com/diatomic-opencall2 - is 31 January 2019. For tips and resources on the application process, check outdiatomic.eu. For questions, or to request partner search/ matchmaking support, get in touch: f6s.com/diatomic. 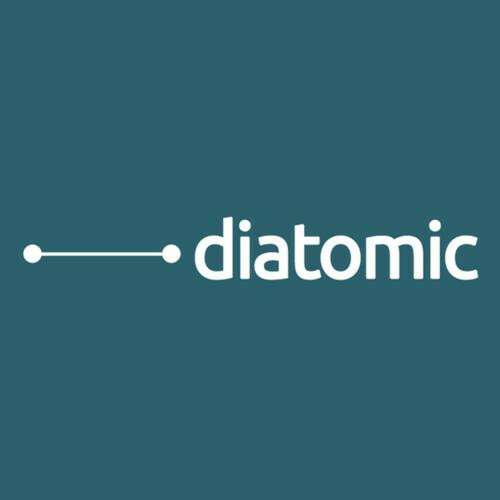 DIATOMIC is a network of Digital Innovation Hubs funded under the European Smart Anything Everywhere Initiative. Eight consortia have already been selected for funding and acceleration in the first DIATOMIC Open Call. Each of the top consortia is expected to create significant value resulting from new microelectronics-enabled products, processes, and business models. The second (and final) call for application experiments closes on 31st January 2019.